Freebie alert! 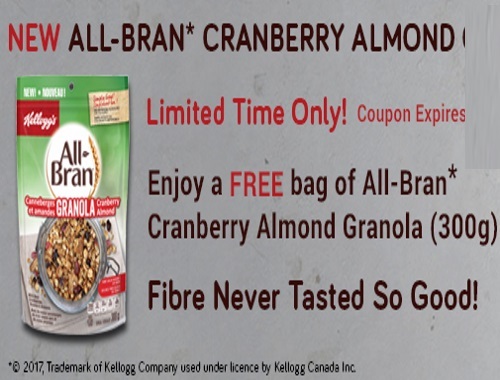 Get a Free All Bran Cranberry Almond Granola cereal with the coupon below! This applies to a free box of 300g! This is a mail coupon, available for a limited time.